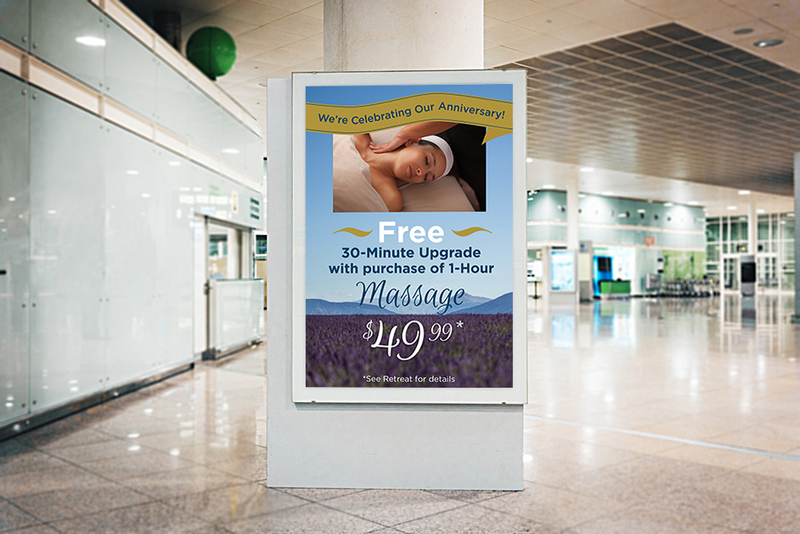 Part of the daily aspects of being a designer for Massage Heights was utilizing the company's brand style guide to create unique and eye-catching marketing assets. To stand apart from the competition we utilized our own brand photography of service images showcasing the massage & facial services available at Massage Heights Retreats combined with aspirational images of what can be achieved with regular massage service or natural texture elements. With each and every piece the challenge was always how do we share what we do and how we're better in a cohesive visual style. Locations are all across the U.S. and in Canada with varying customer demographics and landscapes so each request needed to be related to the target region but in a way that anyone could easily recognize it as a Massage Heights piece. 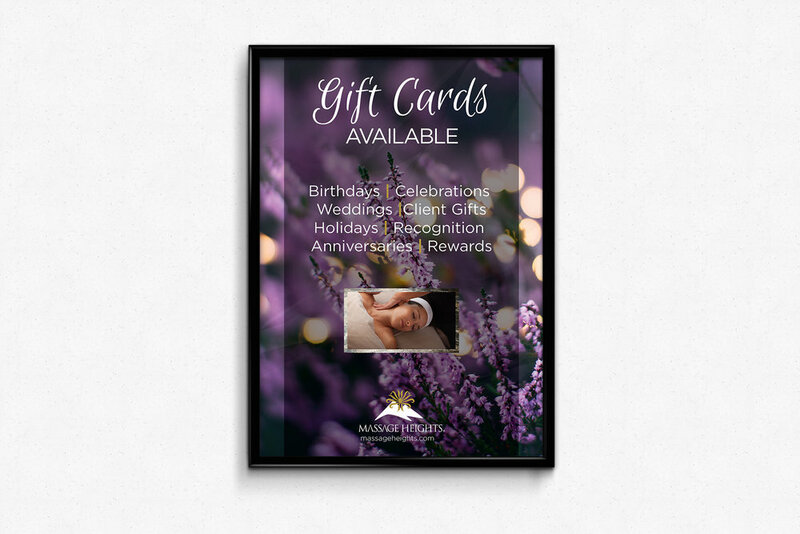 The daily requests were addressed individually utilizing our in-house service photography, sourced natural element photography and regionally relevant aspirational images to create flyers, direct mailers, window clings, counter cards, a-frame signage, digital marketing banners, email banners, and additional social media assets.